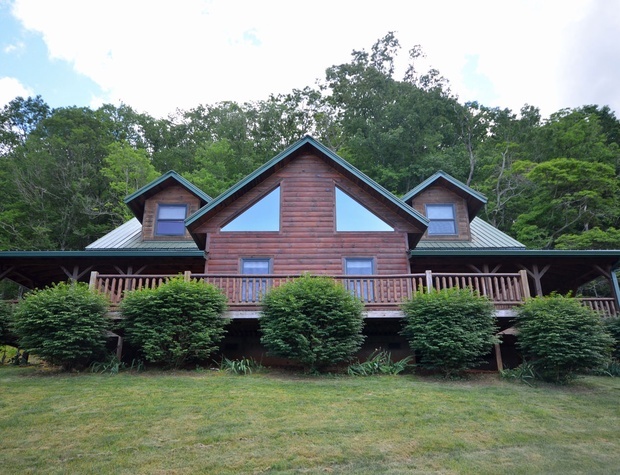 Wild Turkey Run has 4 bedrooms and 3 baths and plenty of room to stretch out. 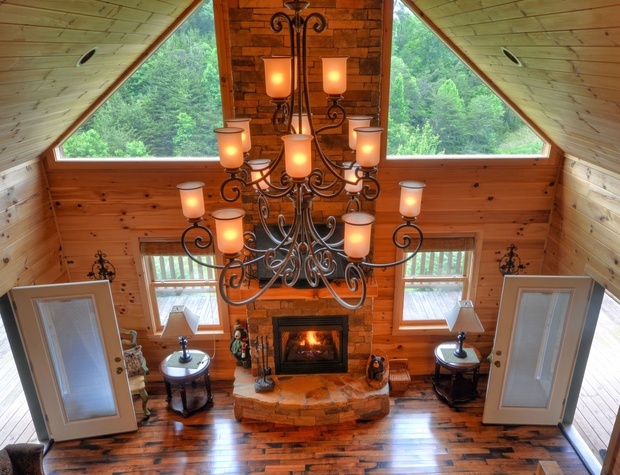 This luxury log cabin feels like a piece of heaven. 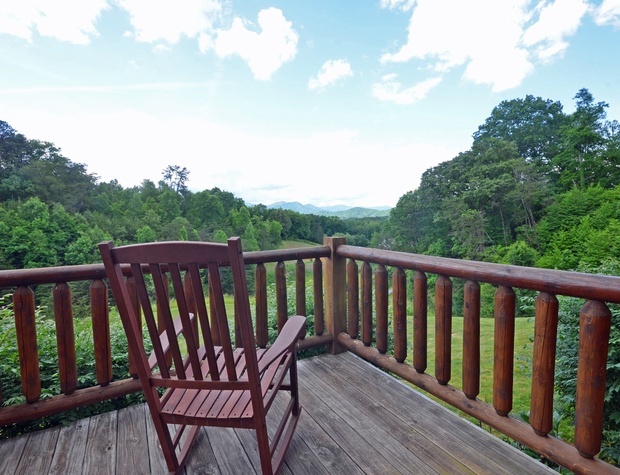 You will enjoy the beauty of the surrounding meadows and the Smoky Mountains from the large wrap around porch. Inside the focal point of the great room is the massive stone fireplace flanked by the large windows reaching into the cathedral ceiling. 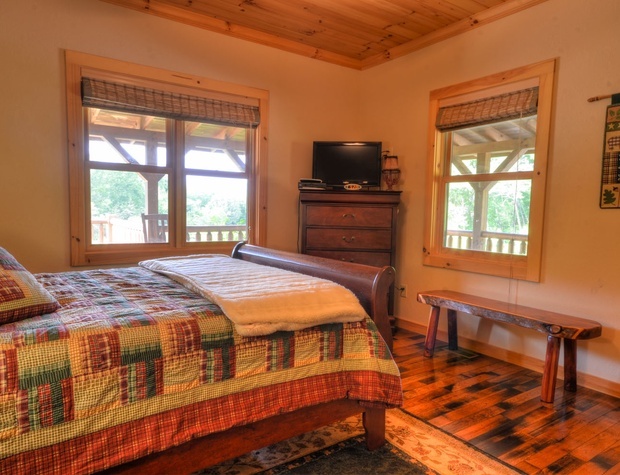 The master bedroom is on the main floor with a queen-sized bed, TV and private bathroom with a jetted tub and separate shower. 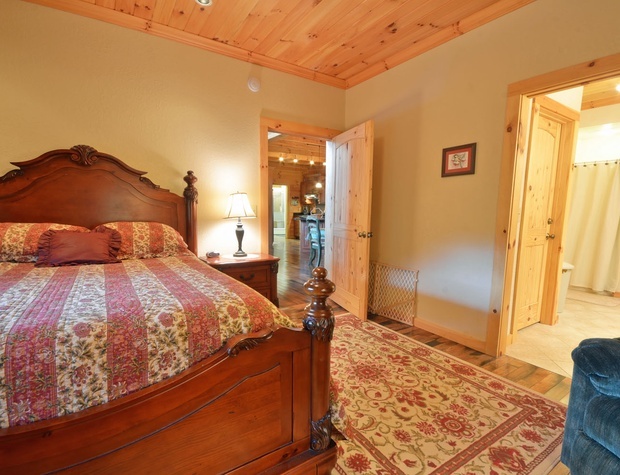 The second bedroom is also on the main floor with a queen bed. 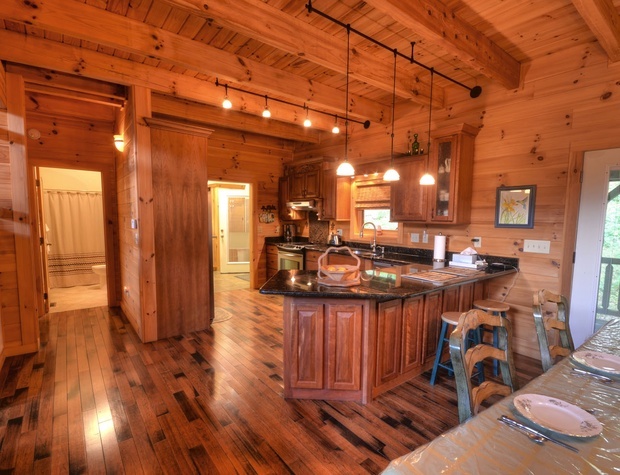 The second bath is on the main floor. 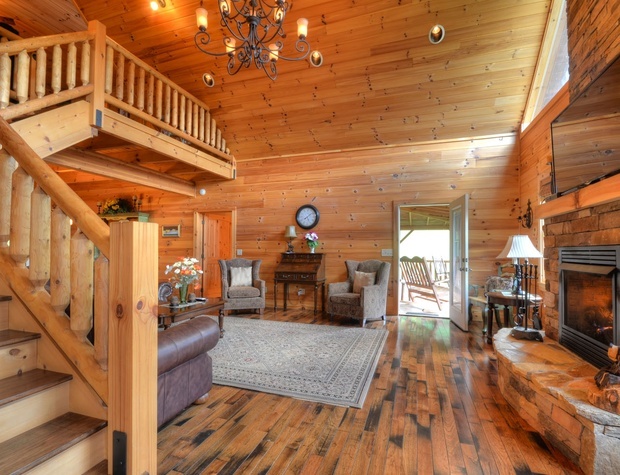 The third & fourth bedrooms are upstairs. 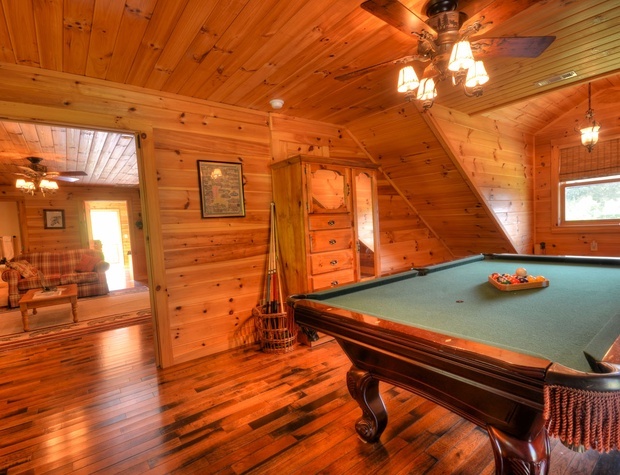 One has a queen bed and doubles as a game room with a pool table. 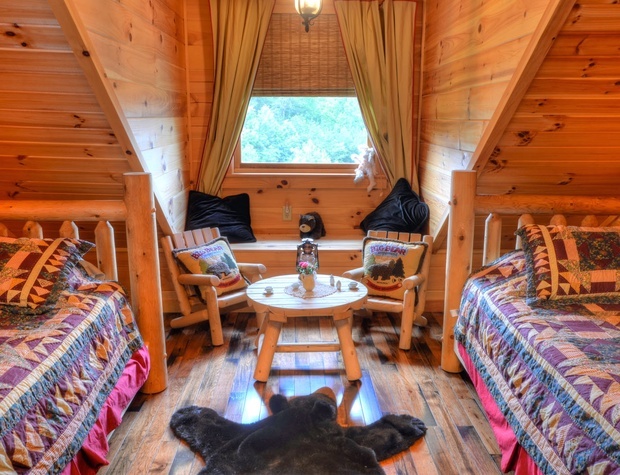 The other has two twin beds and is perfect for the younger members of your family. 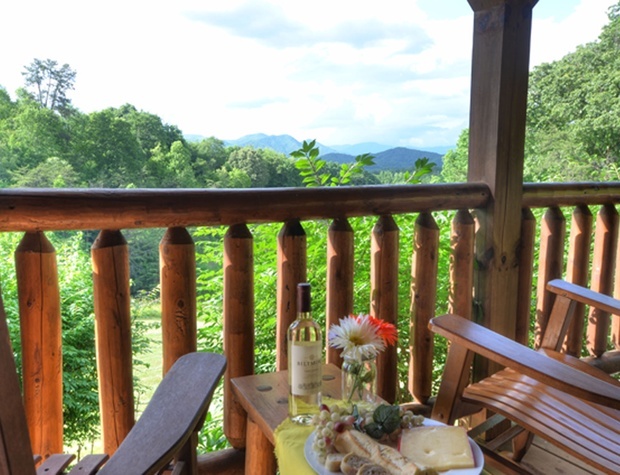 Each upstairs bedroom has a balcony overlooking the Smoky Mountains. 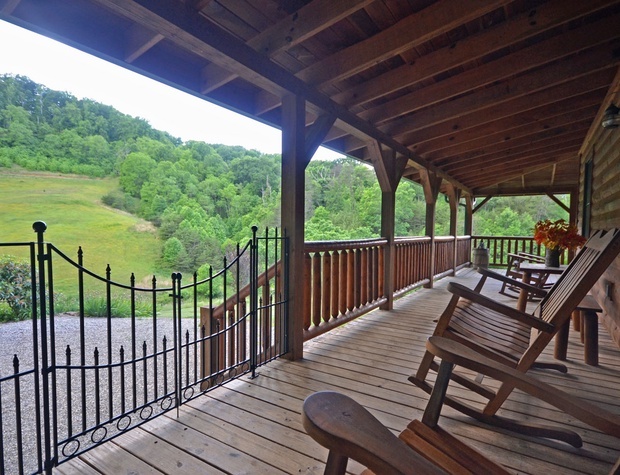 Also upstairs is a loft overlooking the great room. 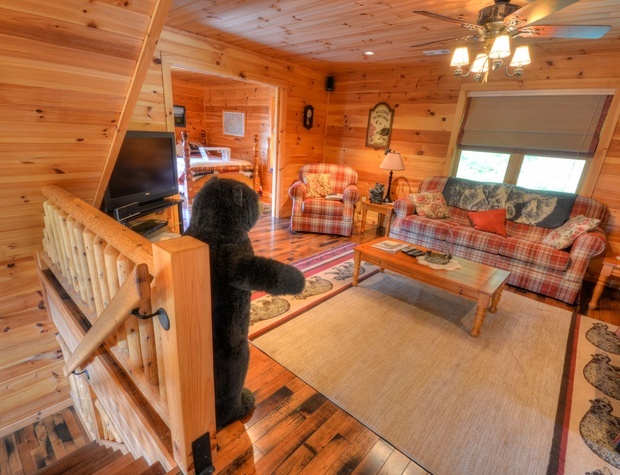 The loft has a flat screen TV and a sleeper sofa. 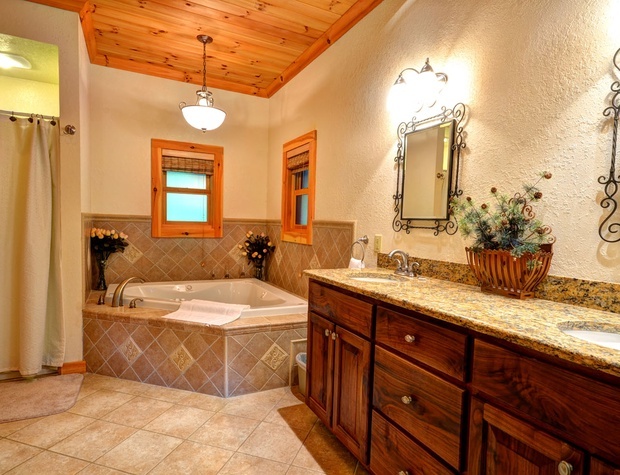 The third bathroom is upstairs as well. The road to the cabin is gravel and novice flatlanders might find it difficult. 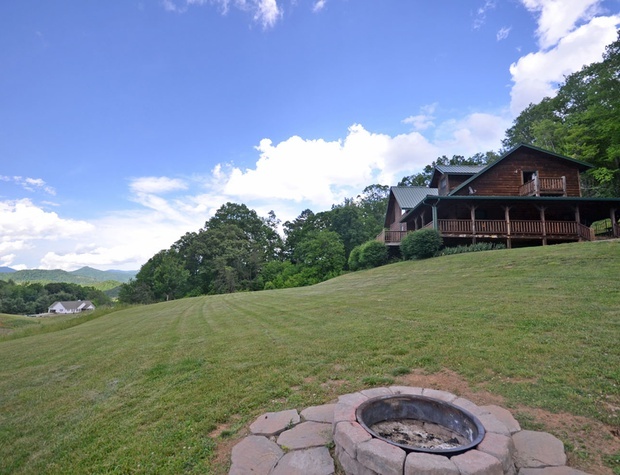 The gravel road is steep at the end right in front of the cabin, but accessible with a normal vehicle piloted by an aggressive or experienced driver. An All-Wheel or 4 Wheel Drive vehicle is recommended. An after dark arrival on your check-in day is not recommended.